A little desert town gets a sexual charge from a crash-landed alien. A dysfunctional family tries to summit Everest with "discount Sherpas" and yakloads of emotional baggage. A teen messiah emerges from a game of 3-on-3. 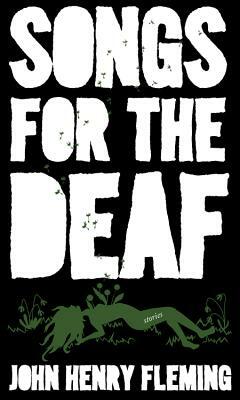 The stories in John Henry Fleming's "Songs for the Deaf," the first story collection by the "marvelously inventive" and "winningly satiric" author of "The Legend of the Barefoot Mailman," put an intimate and modern spin on the American tall tale. Stories in the collection have appeared in "McSweeney's," "North American Review," "Atticus Review," "100% Pure Florida Fiction," and elsewhere.